For over 78 years, Home Paramount has been a family-owned and operated pest management company dedicated to effective service at an affordable price. Ranked among the twenty largest pest management firms in the United States, we service Delaware, Florida, Maryland, North Carolina, Pennsylvania, South Carolina, Virginia, Washington DC and West Virginia. We offer commercial and residential services and our team includes full-time entomologists, state-certified inspectors, knowledgeable technicians and a friendly customer service staff. 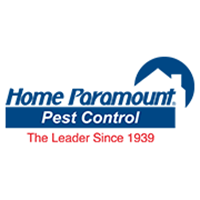 In 1995, Home Paramount was one of the first companies to obtain the industry’s Quality Pro certification which is attained by less than 2% of all pest control companies in the United States. We are an industry-leading professional organization according to the standards of the National Pest Management Association, providing our customers with the utmost respect and care. Call us today at 888-888-HOME (4663) for a free inspection. This is a service that we provide at no cost. A trained Home Paramount inspector will come to you at a convenient time and conduct a thorough pest evaluation. We will discuss our findings with you and make control recommendations. Customer Service is Paramount to us! Great service! Michael, the tech that serviced my home did an excellent job. Very professional and provided thorough answers to my questions. I look forward to continued service from Home Paramount. Always pleased with the excellent service provided by the technician. Very thorough company and great personnel. They do a great job! Selected Home Paramount as they had serviced my husband’s business several years ago. They were prompt in setting an appointment and listened carefully to my concerns. Bobby Bush was our very courteous and thorough technician and we’ve seen no sign of ants in the past couple of weeks since the treatment. I’m a very satisfied customer! Kevin is very flexible and helps work around our busy schedule. And NO BUGS! I have never used a pest control service before but needed onr & H.P. is the best. I knew someone that worked for them & had great respect for them as a company. They have not disappointed. I will use them for years to come! Our "bug guy" is awesome! He's always on time and makes suggestions to help prevent problems in the future. He always goes to the source of the problem to stop it right there. Our paramount person does a great job. Always has it right and is on time. We are very happy with him! Bobby from Home Paramount and the entire team are wonderful to work with. He has been our guy for years and we recommend using him! Great customer service. Keep up the good works. Service is prompt and courteous. Every spring season seems to bring into the kitchen tiny ants and we treat the cabinets several times. this year one treatment and dead and dying ants. haven't seen any since 3 months ago. Kevin is always thorough spraying to keep the bugs out. He always lets me know if he sees anything out of the ordinary. And it is awesome to know that anytime between scheduled quarterly sprays I can call and have Home Paramount return to treat unexpected bug issues. Bobby Bush did a great job. Have been a customer for over 20 ears. Any complaint was handled promptly and satisfactorily. I would recommend Home Paramount to fried without hesitation. Home Paramount does a very excellent job. We are happy with the service. Kevin has been very helpful. We have only had 2 treatments but so far the results have been good. I’m happy with our service. The service Home Paramount is providing is keeping my home pest free. I am happy with your service. Kevin is fantastic. Very appreciative of extra effort when ants were persistent. Basically we are satisfied. We wonder how once a year termite inspection is enough and that each year less stations are found. The last person to do our regular inside/outside spraying was very thorough. Service was great, haven’t seen any ants 🐜, service tech was really nice! The technician was very pleasant and helpful, telling us what he was applying. Timely, accommodating and courteous. Thank you. Eric Ryan did a great job! The technician is friendly, courteous.and does his job. He arrive on time that is scheduled. Love Bobby so kind and friendly. I wish that you would go back to mailing statements as digital ones get lost in my email inbox. Great to work with and flexible with scheduling.